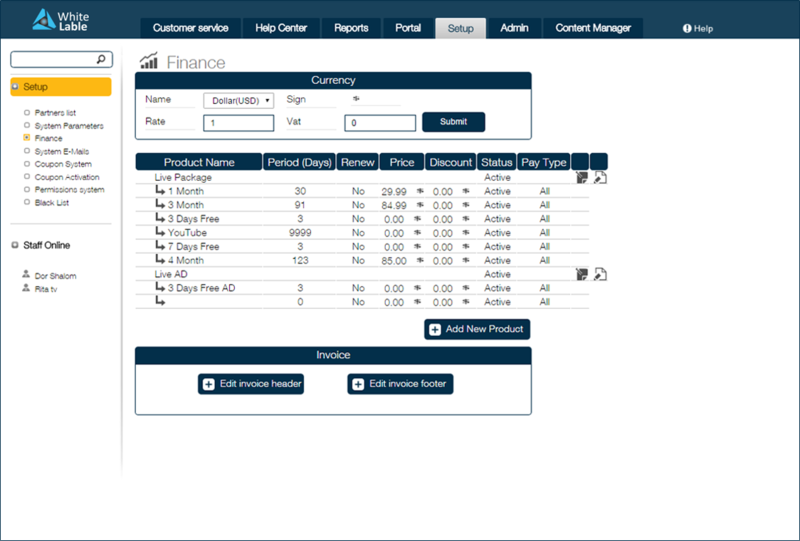 (Customer relationship management) Cast-TV CRM lets providers create new user accounts and manage pricing packages. Cast-TV will set conditional access and software to manage the Pay-TV or free subscribers' permissions. Cast-TV will set the web-based control monitoring dashboard center, displaying in real-time the integrity and continuity of service, the server load, availability, and malfunctions. This will help operators ensure the servers are active, in good condition, and responding appropriately. Managing subscribers’ information including, Billing - PayPal or pre-paid cards, Subscription Packages, Invoice and Reports Generating. It also provides added value features like Coupon Generating and Monitoring, as well as Direct Mailing System for marketing purposes.